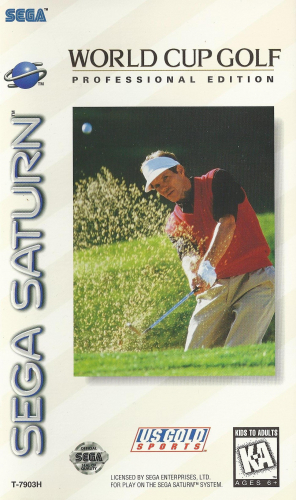 Golf aficionados will surely be pleased with WORLD CUP GOLF for the Sega Saturn. You can select from a wide variety of courses from around the world, each with a unique look, design, and feel. There is also a good selection of golfers to choose from, each with different abilities, so you’re sure to find one that fits your playing style. The graphics are clear and crisp, showing each exotic locale in great detail. The unique hitting meter, once mastered, allows you to swing accurately and efficiently, taking much of the guesswork out of the process. WORLD CUP GOLF will please fans of the genre with its serious take on the game, and the Two-Player mode is not to missed, as it allows you to challenge your friends to find out who is the lord of the links.